"There is definitely more to come from him and even though he is taking another rise in class for this I would expect him to show up well as he has plenty of room for improvement after just two starts." Great Vizier has been disappointing on his last couple of runs. His first run over hurdles at Limerick was quite encouraging but he has struggled badly on his next two outings so we have taken the decision to switch from maidens to handicaps. It's hard to make a case for him on his last two runs but his seventh to Band Of Outlaws is a solid run and would give him a chance in a race such as this. Viscount Wilson has struggled to make an impact over hurdles so far but a switch to a handicap against his own age group gives him a chance. Also he wasn't beaten all that far when finishing in midfield in a handicap here early last month so he could run better than his recent form figures suggest and he has dropped five pounds for his last two runs. He has been running to a solid level all season and possibly deserves to have won more than once. His jumping has cost him a couple of times as he has a habit of making a mistake at a crucial time and he can't afford to do that in a handicap like this. On the other hand he is a horse that travels very well in his races and you could see him enjoying himself in a race run at a strong gallop. If he puts his best foot forward he could run well. Chosen Mate has shaped up very nicely on his first two runs. 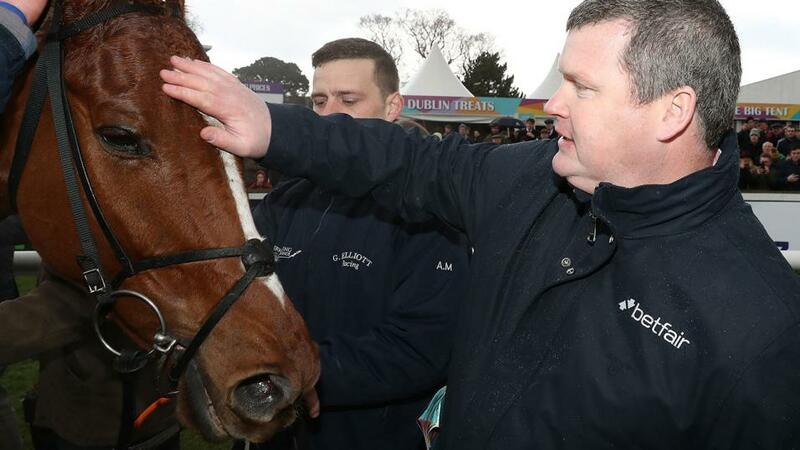 He was a good winner of a Fairyhouse maiden hurdle on his debut and then finished a good second in a Listed novice hurdle at Punchestown a few weeks ago. There is definitely more to come from him and even though he is taking another rise in class for this I would expect him to show up well as he has plenty of room for improvement after just two starts. Milan Native produced a nice effort to get up late on in a Navan maiden hurdle last weekend. He is a lovely, big horse and he is more of a chaser. Also he is still a little on the raw side so his lack of experience would be a concern and I would just hope that he won't find this run coming too soon after last week. Doctor Phoenix won this race last year but he isn't coming here in the same sort of form. He has found things tougher this season as he has had to compete in quality graded company from the outset of the season and also I'd say the dry winter hasn't been ideal for him as most of his best form for us is on soft or heavy ground. He is in good shape and hasn't been disgraced on his last few runs but I'd prefer if the ground was slower. Tycoon Prince has never gotten back to the promise he showed early in his career although he has run a couple of nice races this season and he could show up well if he came back to the form that saw him chase home Saint Calvados over this course and distance in early November. He has yet to finish in the frame but I do believe that he has shown something on each of his three runs and it will be interesting to see how he gets on in his first handicap. A lack of experience will be a worry for him and he won't be as sharp as some of his rivals but I do think that he can build on what he has shown so far. Nonetheless he will probably be all the better for this first handicap run. He's a grand horse and he followed up a surprise win at Fairyhouse a few weeks ago with a good run in an amateur rider's race back at that track last week. He wants softer ground but he's coped well enough with better ground on his last two runs and the step up to an extended three miles will suit him well. I'd like to think that he could be closely involved. I probably asked too much too soon of Column Of Fire after he won his bumper at Navan in November. He ran a nice first race over hurdles at Fairyhouse a few weeks later but I ran back quickly next time and even though he would have been placed behind Dunvegan only for being brought down at the last he wasn't going to show his best that day. As he's a nice, young horse we decided to give him time and leave hurdling until next season which is why he is returning in a winner's bumper. He is in good shape and has had a nice break since he last ran so hopefully he will show up well here. Easywork is a nice type who has been coming along well in his work at home and he is showing enough to suggest that he is ready to start out for the season. He is having to take on some useful previous winners here so this represents a stiff enough starting point for his season but there aren't a huge amount of five-year-old and upwards maiden bumpers left this season which is part of the reason he is running here. He will probably be a little green and raw but I'd hope to see him run quite a nice race.